Hyssop oil is extracted from Hyssopus officinalis, of the Labiatae family and is also known as Azob. This rather expensive essential oil is effective in helping to treat female disorders and to relieve monthly water retention, while being excellent to help the respiratory system get rid of mucus and bronchial spasms. It can be used to treat bronchitis, asthma, influenza and colds, while helping wounds heal and dispersing bruises on the skin. 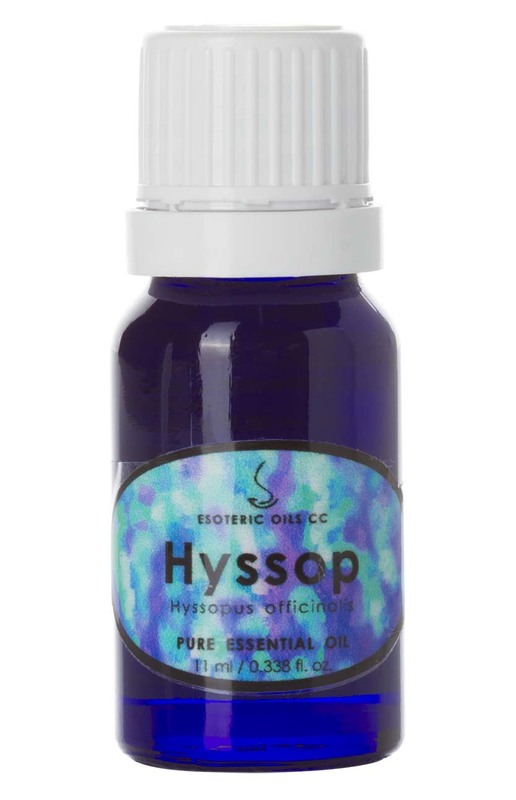 Hyssop oil has a sweet, warm smell and ranges in color from colorless to pale yellowy-green. This shrub decorates the Mediterranean area, is about 60 cm (2 feet) high and is very attractive to bees. The name Hyssopus was used by Hippocrates and was derived from the Hebrew word 'ezob' which means 'holy herb'. It is mentioned in the Old Testament, where the herb was used for purification, yet the reference could also possibly refer to Origanum syriacum. It has a woody, hairy stem, small lance-shaped green leaves and purple-blue flowers and was well known in ancient times, and was referred to in the Bible for its cleansing effect in connection with plague, leprosy and chest ailments. It was also used for purifying sacred places and as a strewing herb in the Middle Ages, to ward off lice, while the Benedictine monks introduced it to Europe in the 10th century as an ingredient for liqueurs. Hyssop oil is extracted from the leaves and the flowering tops by steam distillation. The main chemical components of hyssop oil are a-pinene, camphene, b-pinene, sabinene, myrcene, limonene, pinocamphone, isopinocamphene, y-terpineol, 1,8-cineole and thujone. Hyssop oil is non-irritant and non-sensitizing, but does contain pinocamphone and should therefore be used in moderation and should be avoided during pregnancy and by people suffering from epilepsy. The therapeutic properties of hyssop oil are anti-rheumatic, astringent, antiseptic, antispasmodic, carminative, cicatrisant, digestive, diuretic, emmenagogue, expectorant, febrifuge, hypertensive, nervine, sudorific, stimulant, tonic, vermifuge and vulnerary. Hyssop oil gives a feeling of alertness and helps with anxiety and fatigue and is therefore useful during convalescence as a tonic. It is also effective in cases of respiratory problems and viral infections, such as colds, coughs, sore throats, influenza, bronchitis, asthma, catarrh and tonsillitis. It helps with colic, flatulence and indigestion, while it helps to regulate circulation and is helpful when used to raise low blood pressure. During monthly periods, where water retention can be a problem, hyssop oil helps to balance this. 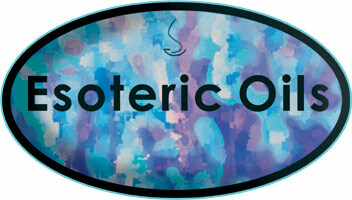 In general, this oil benefits the menstrual cycle and helps with amenorrhea and leucorrhoea. It has good healing properties and helps with bruises as well. Hyssop oil is a powerful oil and helps to relieve respiratory problems, digestive disorders, genito-urinary conditions and skin conditions, like bruises, eczema, inflammation and dermatitis. In vapor therapy, hyssop oil can help with anxiety, mental fatigue, colds, coughs, bronchitis, asthma and infections. As a blended massage oil or diluted in the bath, hyssop oil can relieve anxiety, fatigue, respiratory and viral infections, menstrual problems, colic, flatulence, indigestion and boosts the skin with its healing action. In a cream or lotion, the oil can help the skin to heal, without permanent scarring and can be used to help disperse bruising. Although essential oil blend well with one another, Hyssop oil blends particularly well with Angelica, Clary sage, Geranium, Orange, Tangerine, Melissa and Rosemary.